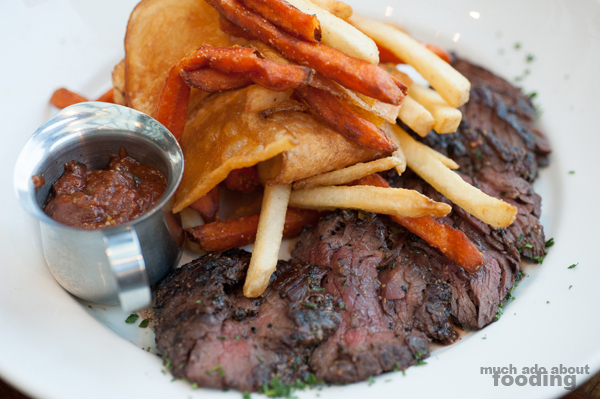 Whether they're swinging out a bona fide brunch or a spot-on beer pairing dinner, Del Frisco's Grille in Irvine never ceases to catch our attention and deliver great food. No wonder this Texas-based restaurant group has thrived far enough to spread across the country. Their addition to Irvine Spectrum here in Orange County has been a welcome one, particularly with the nearby businesses and the booming traffic in the shopping center itself. 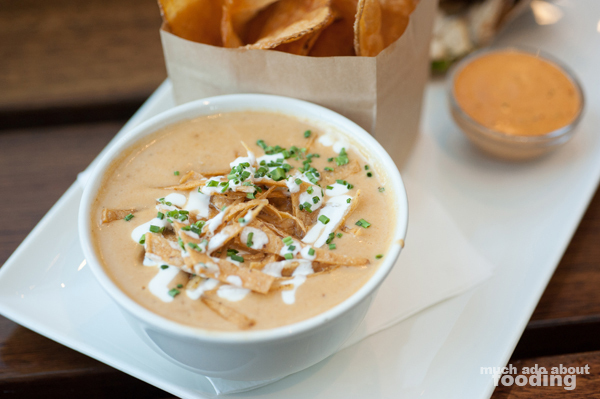 Just because it has impressed those around the area doesn't mean that the restaurant will be stagnant with their offerings; they recently added new items to their menu and upon invitation, we got to find out what those delicious new additions were. To get the new menu party started, we began with their latest cocktail additions - the VIP ($12 - sweet Hawaiian pineapple-infused Svedka clementine vodka), Youth Serum ($12 - fresh cucumber, fresh mint, Ketel One vodka, and fresh lemon sour), and Dutch Mule ($12 - Nolet's Silver, ginger beer, fresh mint, and ruby red grapefruit). 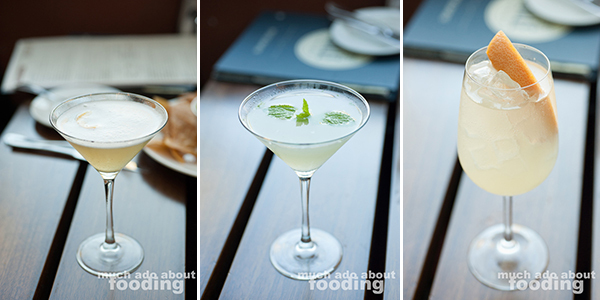 Refreshingly light and easy to drink, these cocktails were trouble; how could you stop at just one? All of them featured the bright flavors of fresh fruit and herbs which made them perfect for a hot day's revitalizing drink. Go for the VIP if you are partial to pineapple since that is the shining note, the Youth Serum for a herbaceous cooler, and the Dutch Mule for some bubbly to your zestiness. Of course, pairing drinks with shareable bites is a must. We dove right into their Guacamole ($11) which paid the proper dues to the lovely California avocado and presented itself in a light, healthful way. 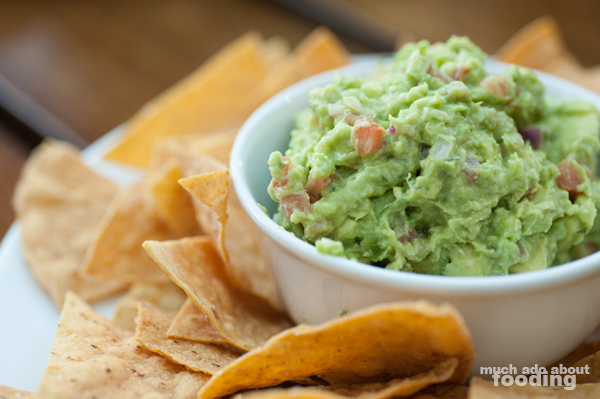 It was difficult to stop dipping their tortilla chips into this smooth and flavorful mixture. 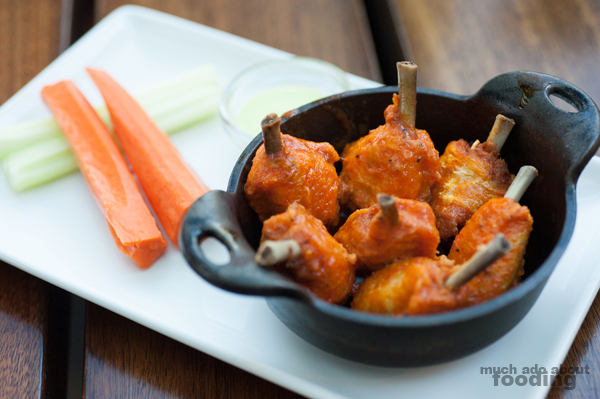 What wasn't difficult, however, was biting into their Lollipop Chicken Wings ($12 - buffalo style, served with avocado ranch) which was a slight twist on the typical chicken wings. The meat had been pushed down to one end of a wing bone so that you could swiftly get to the meat of it all and have clean hands at the end, save for your fingertip hold on the bone. Dipped into the cooling and creamy avocado ranch, these chicken wings are guaranteed to be a hit. 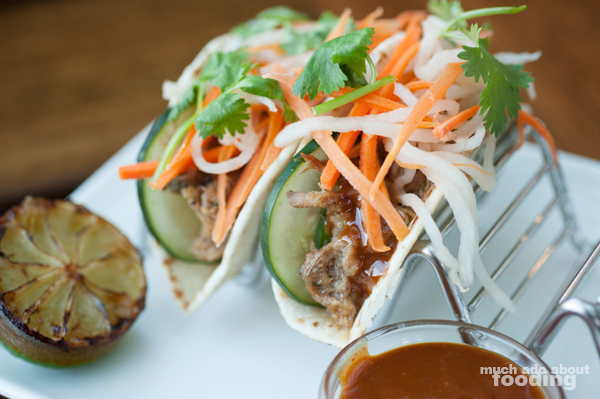 Then, if you are leaning more towards something sweet and savory, you can opt for their Asian Street Tacos ($10.50 - BBQ pork, pickled daikon and carrots, cucumber, cilantro, and chiles) which really reminded us of a BBQ banh mi. There was no question that these were inspired by Vietnamese cuisine, particularly the sauce that smothered the meat. They got a little messy as the sauce dripped out the other side of where you were biting but overall, these were well-balanced bites. Though not necessarily new parts of the menu, the sides we tasted were still just as impressive as Del Frisco's Grille tends to be. We devoured their Shaved Brussels Sprouts ($8) and really appreciated how it was not the typical roasted brussels sprouts that you see at every other restaurant. 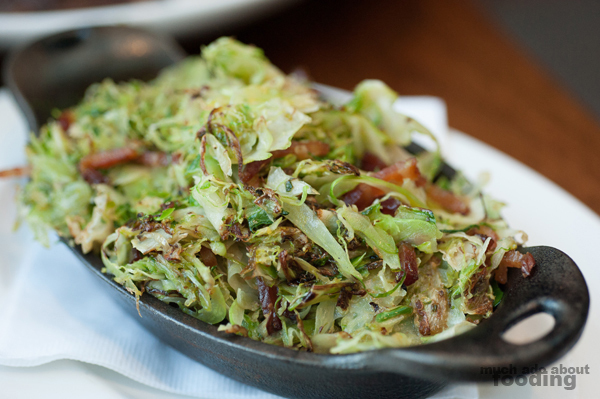 Shaving those nutrient-rich vegetables gave them a fluffier texture with some sides roasted and presenting that signature roasted char while other sides granting a softer, steamed perspective to the sprouts. Mixed together with some hunky bacon bits, it was certainly a savory side dish that you shouldn't forget about. 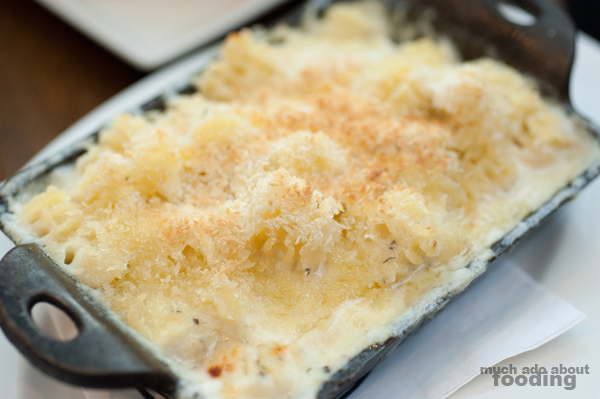 Of course we also sampled their Truffle Mac & Cheese ($9.50), a signature staple to a Del Frisco's meal. Hot from the oven and featuring a generously crunchy panko crumb crust, this dish can satisfy the cheesy pasta lover right away. New menu items were not exclusive to dinner service however. We checked out their Grab a Pair ($14.00) option which allows diners to pair off any personal-size flatbread, half a chicken avocado wrap, half a banh mi, or two fish tacos with a mixed greens salad, Caesar salad, or cup of soup. 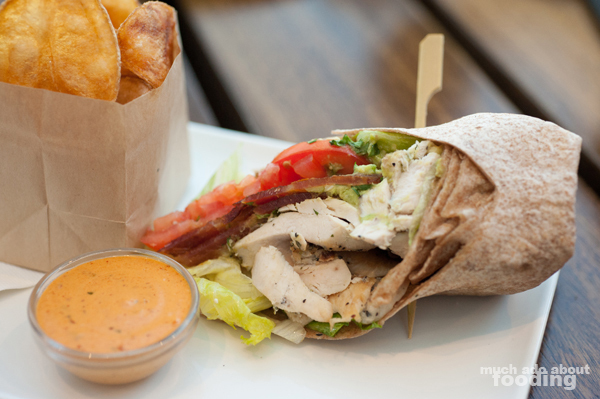 Our selections were the half a chicken avocado wrap paired with their cup of soup for the day. These came with some kettle chips and a copious amount of chipotle aioli for the sandwich. Not a bad haul. The wrap itself was so generous in its amount of chicken and avocado that the half alone would have been filling enough for me. Admittedly, we did not end easy. Though most people know Del Frisco's for their impressive coconut cream pie, we opted for a different route - the new items and the lesser had. 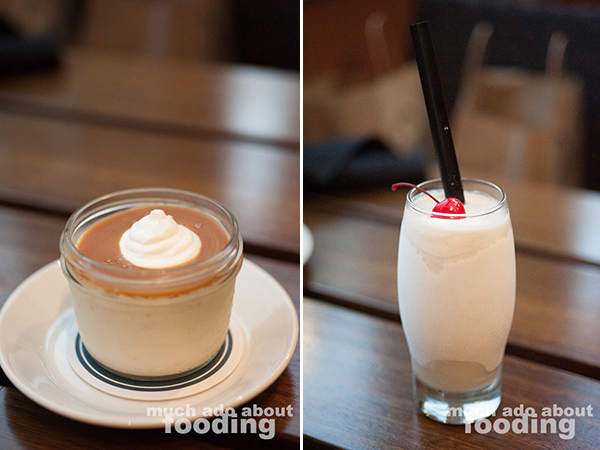 To start, their Butterscotch Pudding Jar ($8 - with salted caramel and whipped cream) which was every bit as creamy and rich as a butterscotch pudding ought to be. It was not too sweet either, balanced out by the salt and light whip. Then there was their Adult Milkshake ($11 - Nocello walnut liqueur, creme di cacao, chocolate liqueur, and vanilla ice cream), a thick, alcoholic concoction that is not for the faint. The liqueurs make themselves very apparent here but meld together in a satisfying drink that might need to be shared between a few people; after all, it's a lot of alcohol. 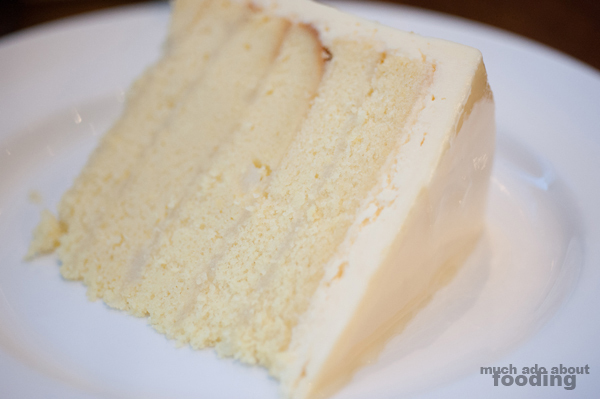 Lastly, a generous slice of their Lemon Doberge Cake ($10.50 - six layers of cake, lemon buttercream, and lemon glaze), a moist cake that had elements of tart and sweet. I was afraid that all of the buttercream icing would be a tooth-hurting sweetness but it maintained itself with plenty of citrus tang. 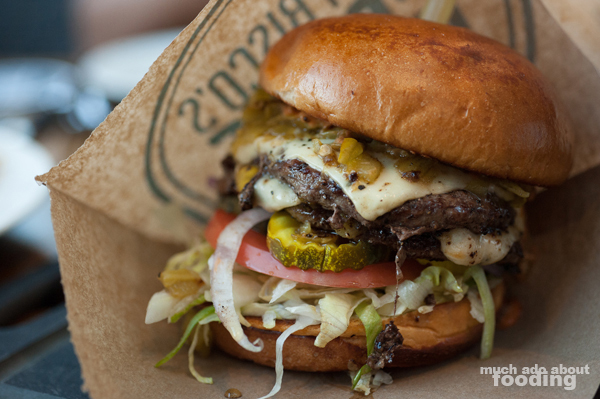 If the regular Del Frisco's Grille menu is not enough, you'll have to get a load of the new items. 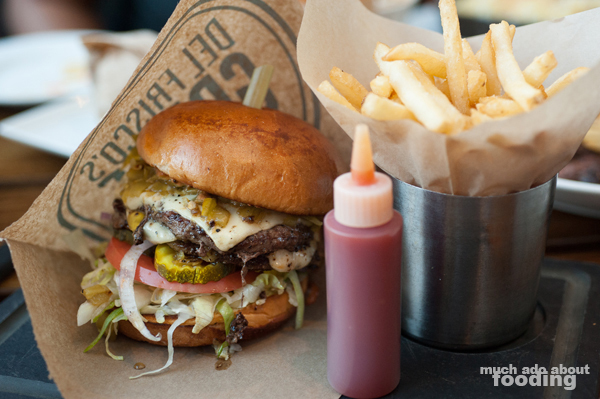 Check out the Irvine location at 772 Spectrum Center Drive, Irvine, CA 92618.